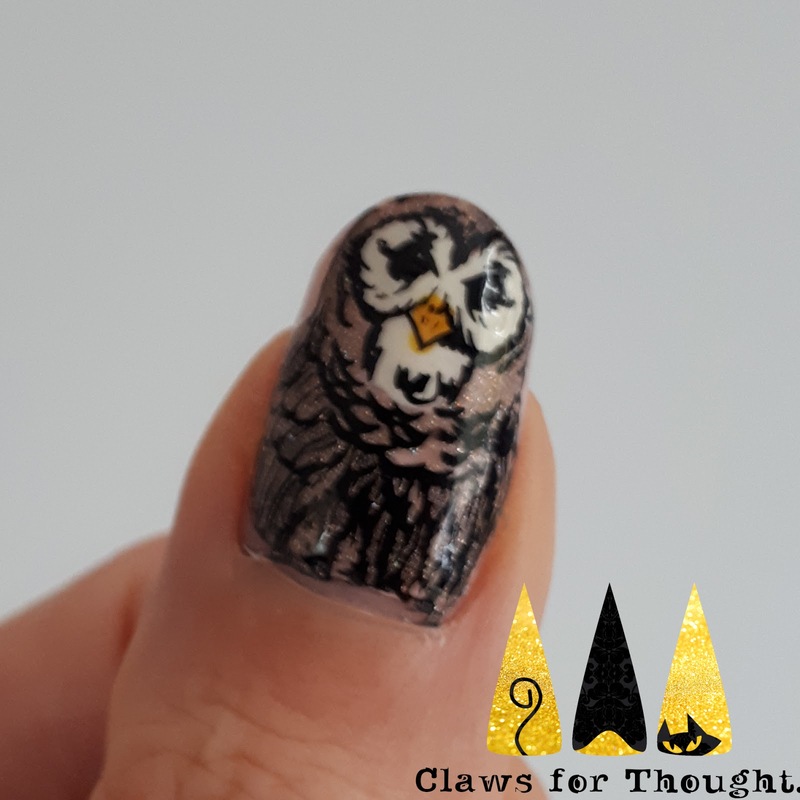 Claws For Thought: Owls & Feathers - Come On Spring! 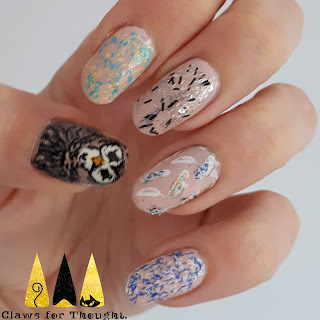 Owls & Feathers - Come On Spring! Hey everyone - hope you are about to have a great weekend! Today my nail art has been created for the clairestelle8 nail art challenge on Instagram. There are a number of prompts for April, and for this months challenge there is the chance to win a stamping plate which I'm really keen to get my hands on! I'm not doing every prompt as I don't have enough time sadly, but will try and do a few. 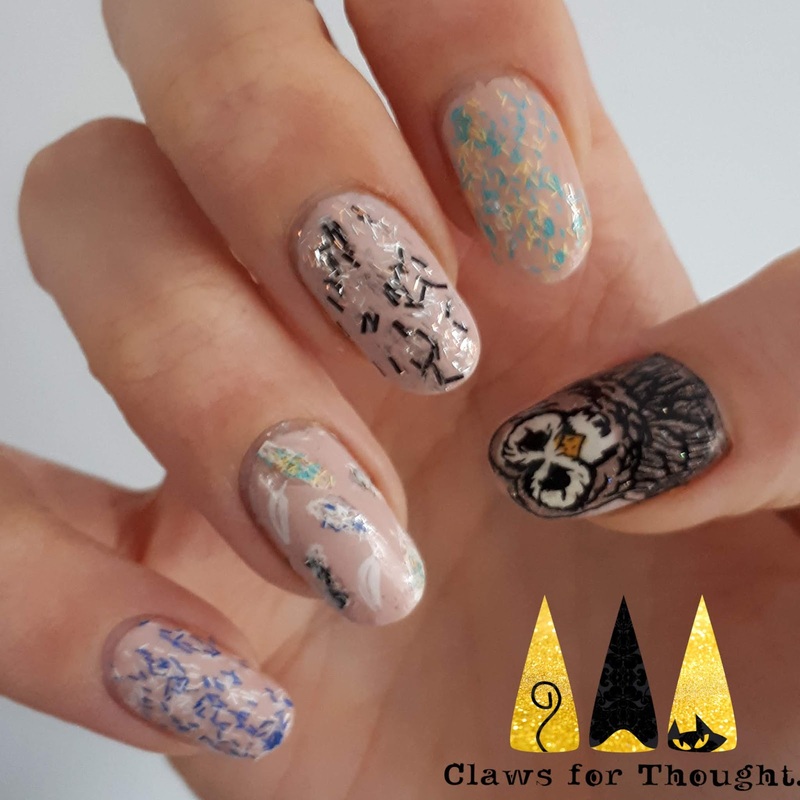 For this one the prompt is feathers, so I decided to use my Nails Inc feather polishes, some feather stamping and a great big owl! 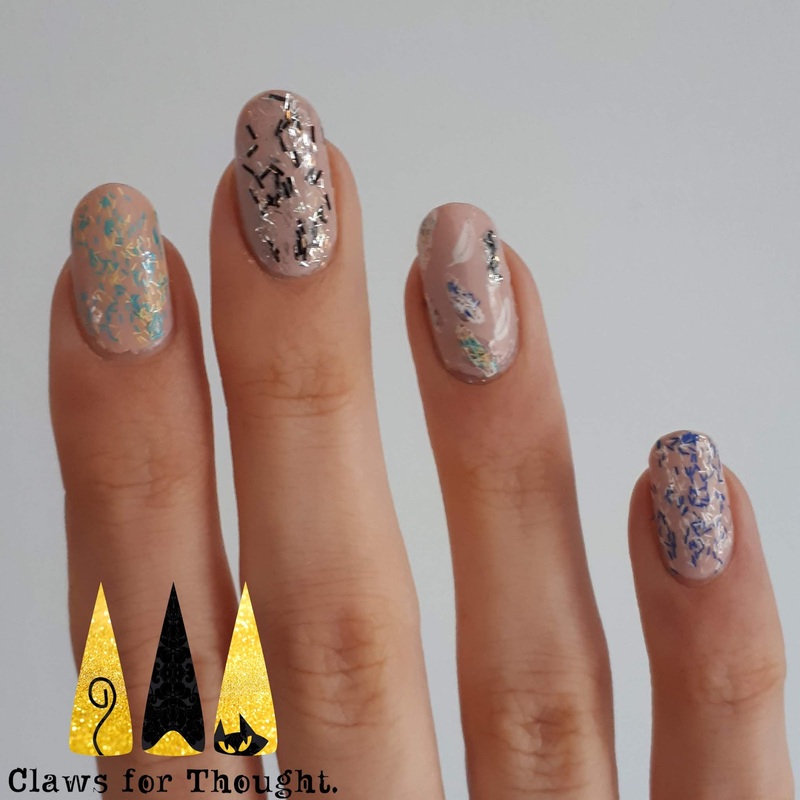 On all my nails I used a pale pink base (colours listed below the pictures), and on my ringer finger and thumb nails I created decals using my Uber Mat. The owl is from an Uber Chic stamping plate, it's an image I haven't used before. I enjoyed using my Painted Polish by Lexi taupe polishes for this but you know you have a lot of polish when you happen to have the right sparkly shades for an owl!! I used feathers from a Mo You London Explorer plate for my other decals. I coloured them in with the feather effect polishes I used on my other nails. This didn't work all that well as it made the decals quite chunky, but I quite like the subtle effect. The remaining three nails on each hand were topped with the Nails Inc feather effect polishes. With hindsight I think I should have layered the feathers up a bit more for a better effect. All in all I quite like these, but they're not my best. Not sure I was ready for pastels quite yet! New UK nail art blogger. New to blogging, old to nails!